shower - just like a human - has emerged. 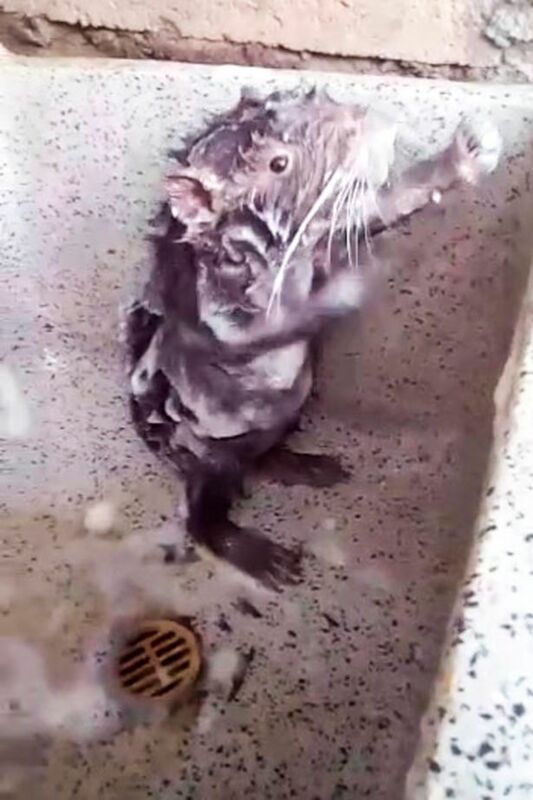 shows the rat standing up on its hind legs and washing his armpits in soapy water. and over his body to maintain his personal hygiene.